February 7th marked 18 Years since the legendary Big Pun has passed. 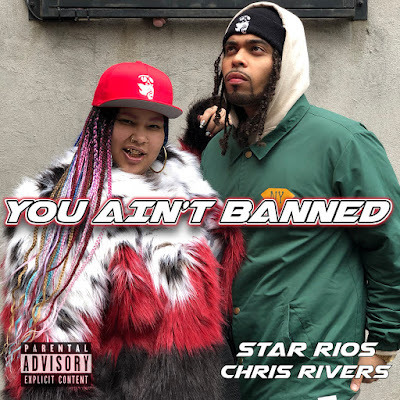 In memory and respect to their father, 2 of his children, Star Rios and Chris Rivers, dedicate this 2 beat bar fest over the “Banned From TV” and “You Ain’t A Killa” instrumentals. Both showcasing their skill, chemistry, life experience and legendary genetics in the witty, homage driven freestyle named “You Ain’t Banned”. Check out Stars recent EP called ” I HeardMyself “.